When developing holiday lesson plans for preschool, elementary school, or other grades, teachers might often be stressed on creating an effective lesson plan for children to learn more about the holiday, in a way that will have an impact on them. A good starting point is to focus on first providing basic information of the holiday, and then moving on to the more ‘fun’ side. 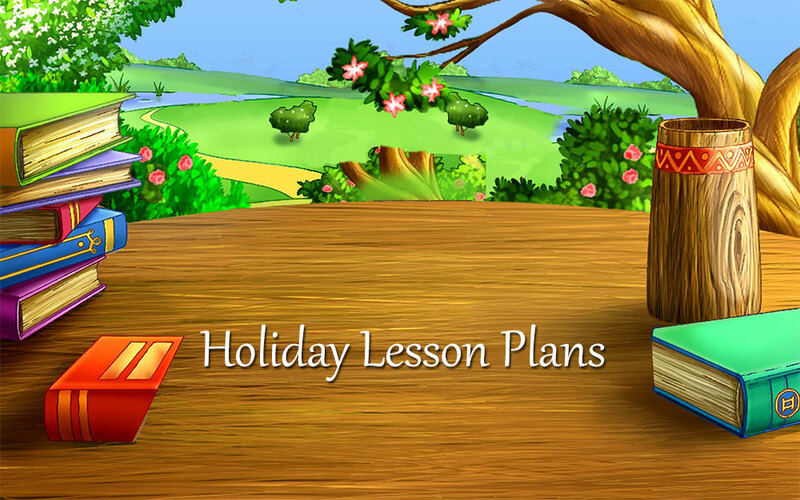 Below, we list out five tips on how best to develop great holiday lesson plans. When giving children an overview of the holiday lessons, make sure to keep it as simple and short as possible. Keep in mind that it might be the first time the children are exposed to information about the holiday. As such, the more exotic the holiday is to them, the more confused they can get if you go into too many details. For example, if you are explaining the festival of Diwali to the kids, then try limiting information about the same by explaining how the ‘festival of lights’ is a celebration of the Hindu god Rama’s victory over the evil Ravana. That should do. Venturing too much into the backstory of Rama will probably leave the kids confused. When developing holiday lesson plans for kids, you can also try to include a read out loud book. Let a few children take turns and read a popular book about the specific holiday in focus. Involving multiple children in such an activity is more likely to keep the kids interested in the discussion about the holiday. For example, if you are teaching the kids about Hanukkah, the celebration of the Jews, try reading out loud Hanukkah by Roni Schotter, which has been written keeping children in mind. Plan out some holiday activities for elementary students which is directly related to the celebration. Since they will be directly engaged, the kids will learn about the holiday much more deeply. For example, if you are instructing children on the African-American celebration of Kwanzaa, then you should try to engage students in some crafts that involve them making a Kinara or a Mkeka. These are things that are used during traditional Kwanzaa celebrations throughout America. And in case you have difficulty finding craft ideas for such celebration, do check out the Teacher Vision website for helpful resources. Try celebrating the holiday activities with children, if permissible. For example, when taking a class about the Hindu festival of Diwali, you can ask children to light the little earthen lamps, play some devotional music, and ask the children to sing along. You can also ask some local Hindu foundations to help with the celebrations and they might even set up a traditional statue of Lord Rama in the classroom for the day. However, as said earlier, do make sure that the parents are okay with their children celebrating festivals of other religions. Some parents may not approve of such activities. If that is the case, it is better that you avoid any part of the celebration that involves worshiping activities. Finally, you can round off the lesson by distributing sweets related to the festival. For example, if the holiday lesson deals with Hanukkah, then you can offer the kids the traditional Jewish sweet of Sufganiyot. Similarly, when celebrating Diwali, you can distribute the traditional Indian sweet of Gulab Jamun. The kids are sure to love their first taste of such exotic food items. Just ask the parents of any Jewish or Hindu children in the batch whether they will be interested in treating the kids of class with a traditional sweet. You will surely find a few parents who will enthusiastically prepare the sweets.